This has to be the best thing to happen to Delhi this year! 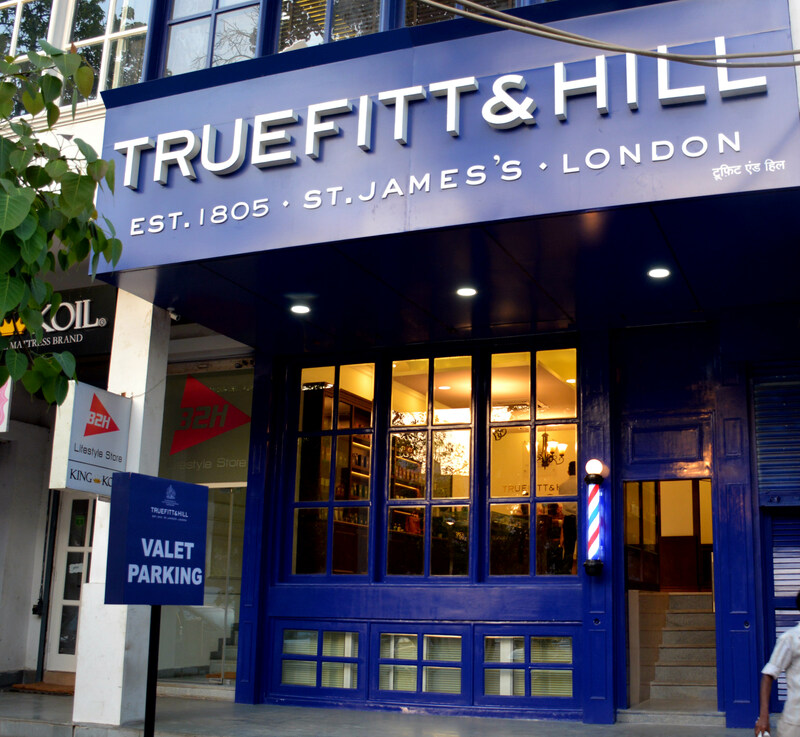 Luxury salon chain Truefitt & Hill have finally opened their first outlet in Delhi and the place is to die for! This is after having 5 outlets in Mumbai. 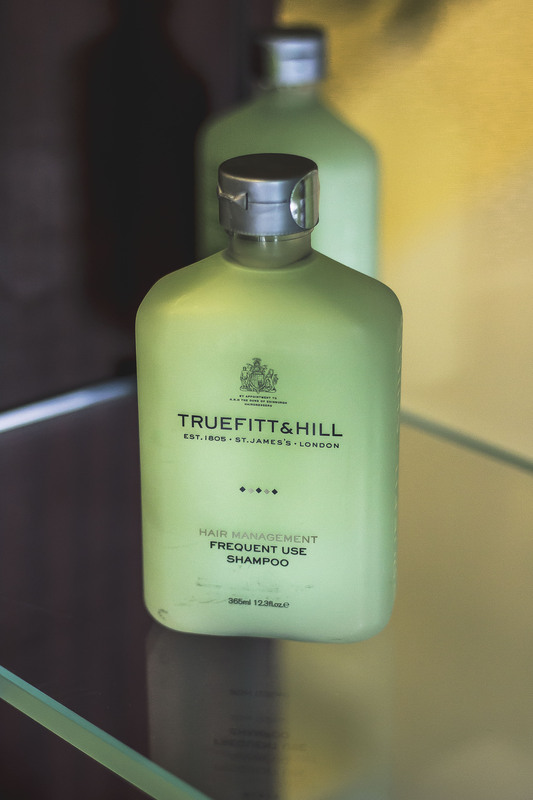 Truefitt & Hill is 2 floor grooming heaven! I mean wouldn’t you want to go inside a salon which looks as cool as this one does! Can you imagine that this place was actually established in 1805? That’s unreal. But it makes sense since their USP is offering a royal treatment to their customers and indeed they do! When I walked into this beautiful space, I was greeted by super well-groomed and very polite staff members who guided me to a VIP room called the “Duke’s Den”. 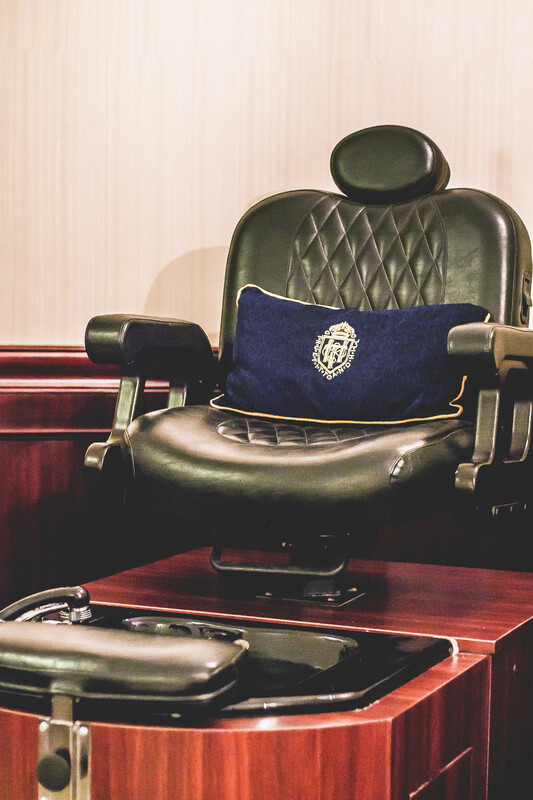 A room dedicated to you, with the most lavish mani-pedi chair ever made and a space for a haircut and shave. But what I was really impressed with was the quality of staff. Each one more polite and knowledgeable than the previous one. This was my first manicure and pedicure ever! And I was more than happy to get one. 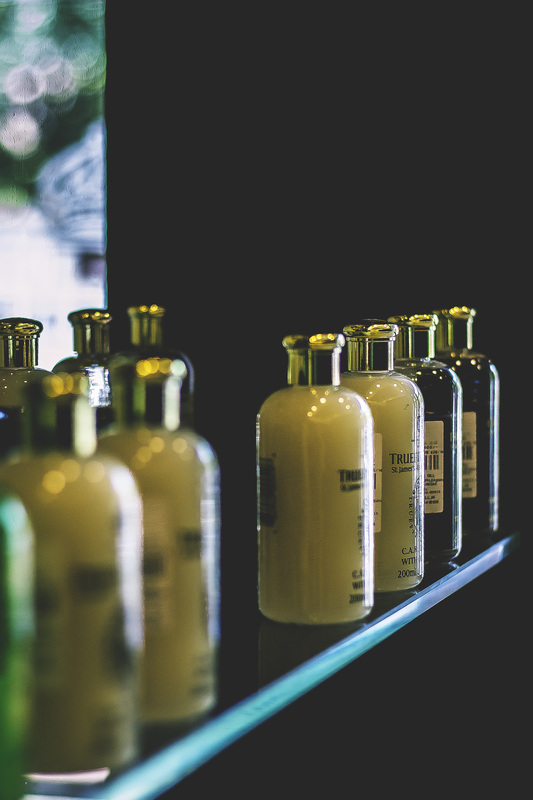 They give you a few options to choose from in terms of the fragrance that you prefer and bring out an assortment of creams, gels and cleansers to suit your needs. After a long and very very relaxing royal manicure and pedicure I was ready for what they call the royal haircut! Once I was on the throne-like chair, the well-trainer barber turned me around and gave me one of the most soothing hair-wash I ever had. And after that I was ready for a haircut which would change my life! Like literally! I haven’t had a better haircut experience than this. I mean honestly, with the kind of hair I have, it becomes quite tough to control them and give me a neat and clean cut but then again, the well-trained barber at Truefitt & Hill made sure I get one. 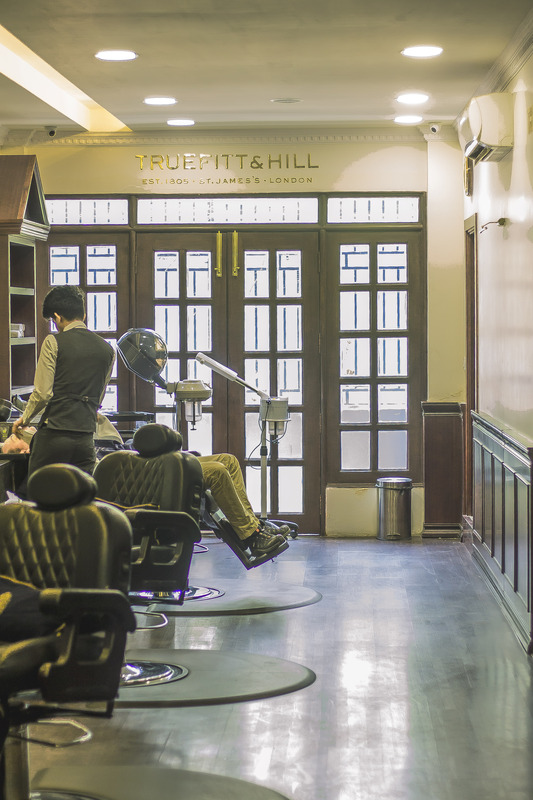 “Superior and distinct services offered by Truefitt and Hill are The Royal Shave and Haircut, Classic Shave and Haircut, other hair treatments, Royal manicure & pedicure, head massage, facials, etc. 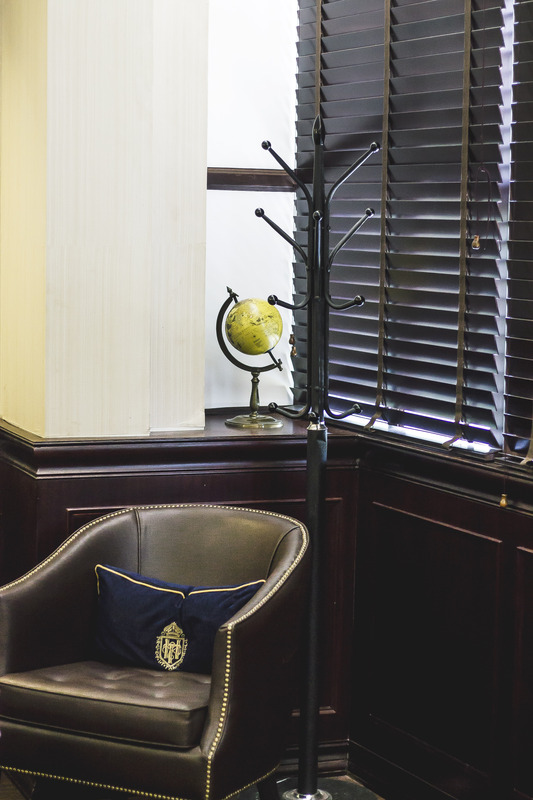 and offer complimentary valet service, wi-fi, refreshments with every visit. The signature service is Royal Shave which is very unique 45min service. 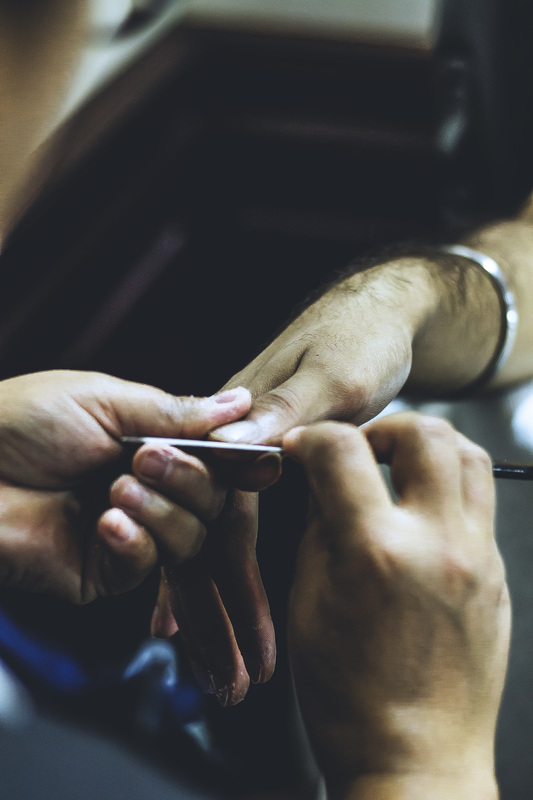 Experience the luxury of a timeless straight-razor shave. Perfected since 1805, this classic Royal ritual begins with the wrapping of hot towels followed by exfoliating the face with a scrub. 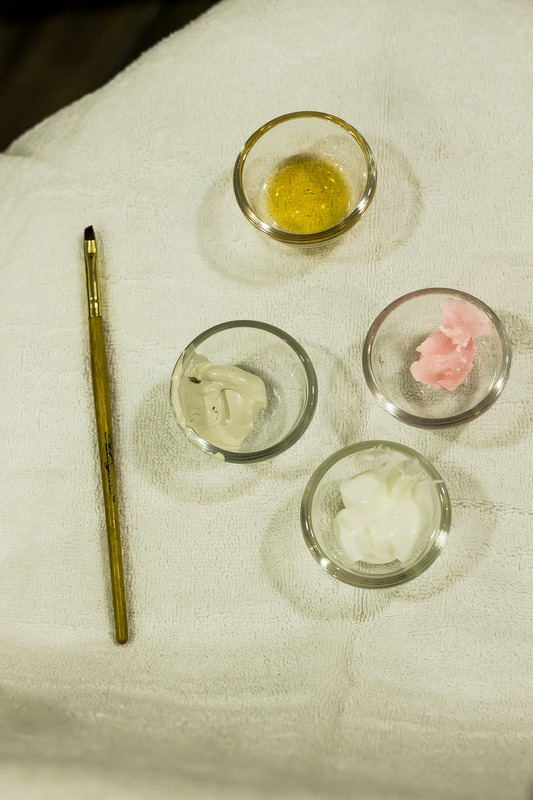 Thereafter, the skin is nourished and massaged with a light-textured pre-shave oil. This makes the beard soft, allowing the razor blade to glide smoothly. A hot towel is wrapped again, an occurrence that is repeated often to help open the pores and relax the customer. Using our handmade badger brush, a small amount of our glycerine-based shaving cream is applied to create a rich and emollient lather. The brush coats each individual whisker with shaving cream ensuring the most comfortable shave possible. Now, holding the skin taut with one hand, the other hand does its magic with a straight-razor. 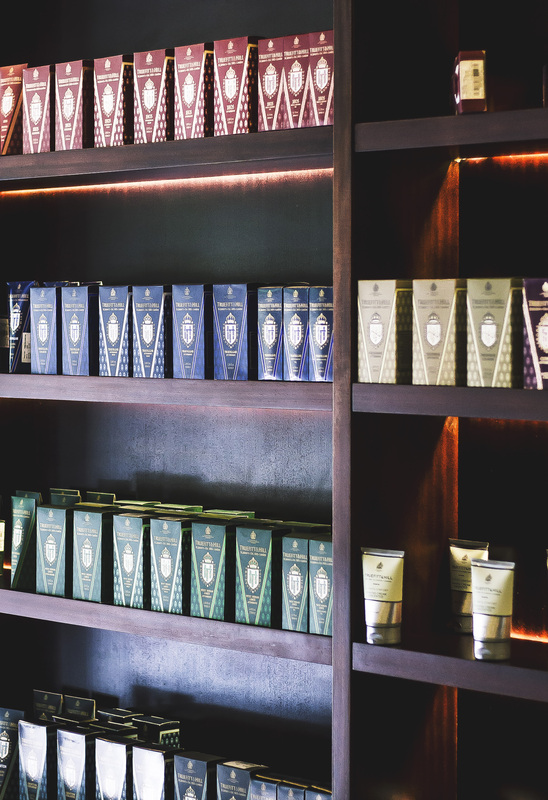 This zen experience of shaving heightens when the Royal Shave concludes with a relaxing facial massage and the application of a selection of 10 aftershave balms/lotions. 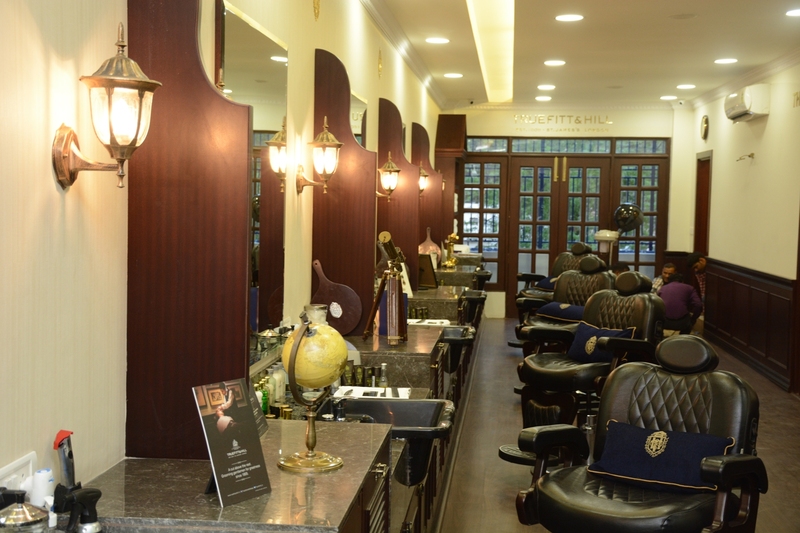 If you really want to have a luxury grooming experience, then this should be the place to be. 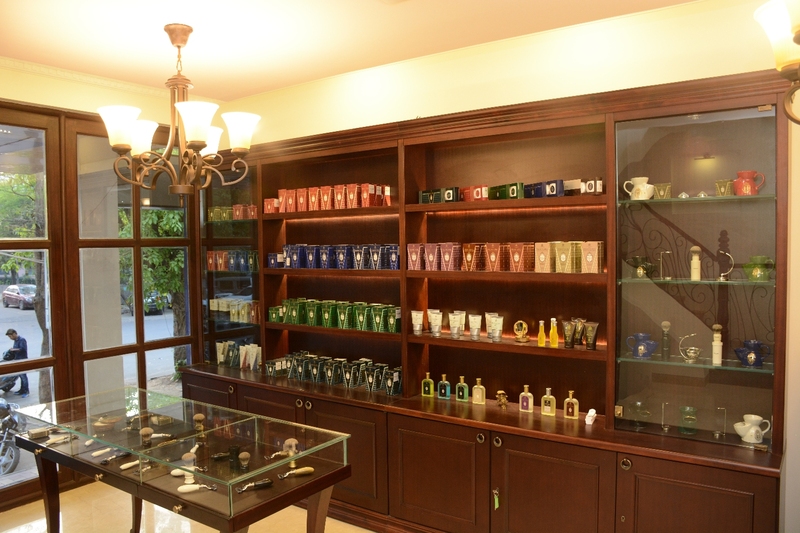 Located in Meherchand Market, Lodhi Colony. 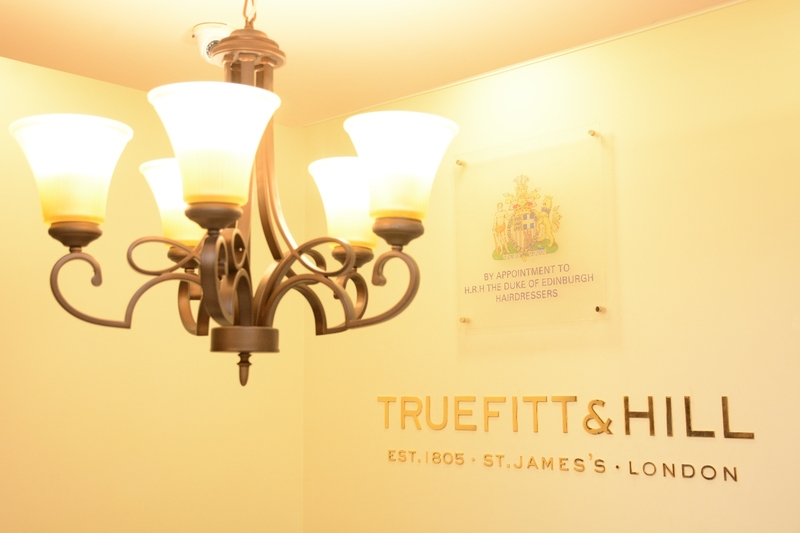 Thanks to the Truefitt team and Shiv from The Open Art Project for these amazing pictures!